Home > Bitcoin > Las Vegas Shooting: Could the Blockchain Turn the ‘False Flag’ Event Business into a “Bubble”? For the moment I live in Las Vegas, scene of the latest crime against humanity that is alleged to have been the work of a single man. 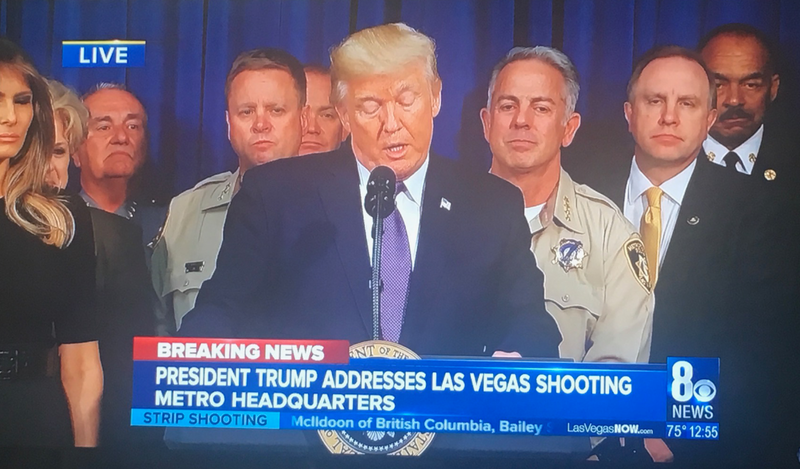 I took the above picture on Thursday evening, September 28, a scant 72 hours prior to the event that turned Mandalay Bay into the flash point of a heinous crime. I’m not calling this a “false flag” event, but an objective examination of the evidence presented thus far, simply doesn’t add up to the “conclusions” that we’ve been fed and expected to accept. President Donald Trump flew in to pay his respects today. Making a prepared statement before departing, he focused so intently on his written statement that it was difficult to get a picture of him looking at, or into the camera, i.e., *sincere*. I took numerous images trying to capture that moment, but all tended to be like this one. 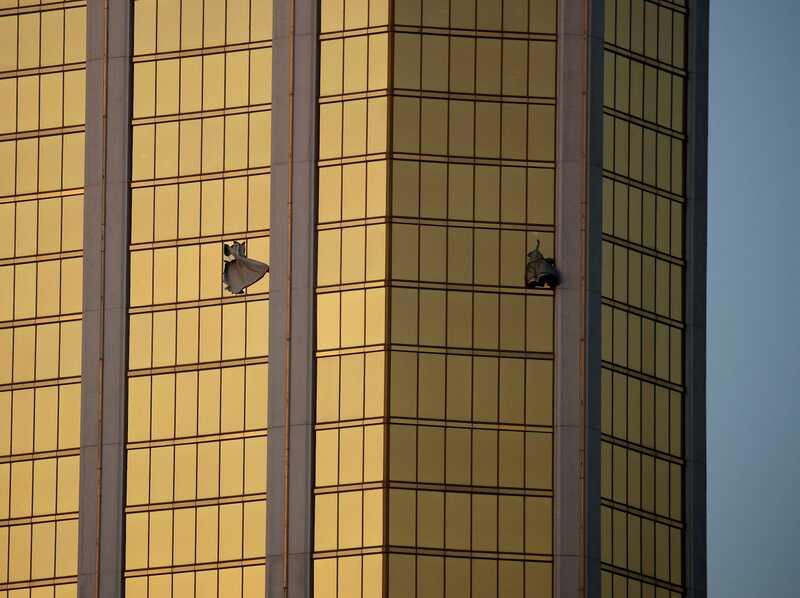 Las Vegas law enforcement officials have stated their stern *belief* that the bullet barrage that killed 59 people and wounded hundreds more as they attended a music festival on October 1, was the work of *one* man, who conveniently killed himself so as to stifle further questioning. That man, Stephen Paddock, is alleged to have transported 23 semi-automatic rifles to his hotel room, *for his own use*. He is purported to have broken out the window in his suite to shower a crowd of over 20,000 people with bullets, “pausing” occasionally “to reload”. Why would such a pause be necessary by a “lone perpetrator” with 10 rifles he smuggled into his room in *golf bags*? Also, how would, or could he have broken out two windows that clearly appear, from the picture below, to be in different suites? 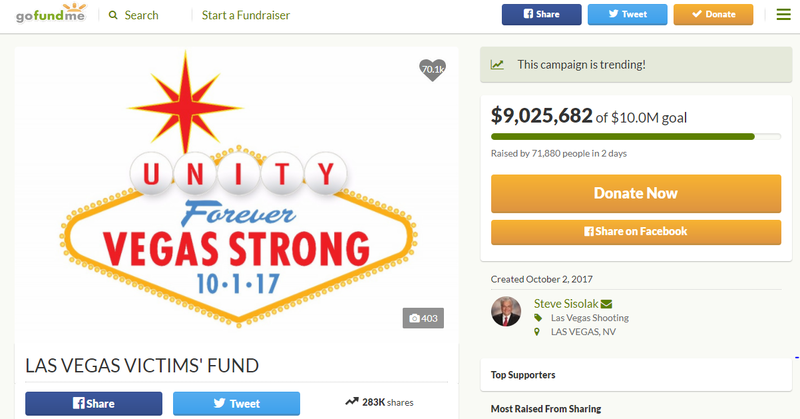 There has been a large outpouring of money in various GoFundMe campaigns and other activities to put a tragic event in a less ominous light. The initial goal of the “official” site was $1 million… “for the victims”. They raised so much in a few hours that they progressively raised the target amount, and the money has been flying in. The nonsensical “official” theory of what happened, has not been challenged. 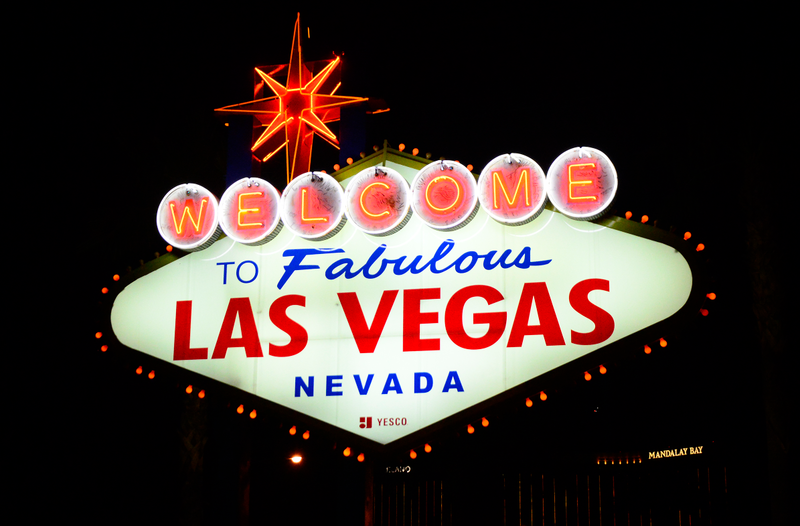 However, the public is being encouraged not to let a little mishap like that affect their plans to visit Vegas. Easy money with no apparent oversight or accountability. Now it would be interesting to know how investigations might be different, or culpability determined if blockchain technology was integrated into the manufacture, sale, and distribution of all the weapons and ammunition used in this latest tyrannous event.